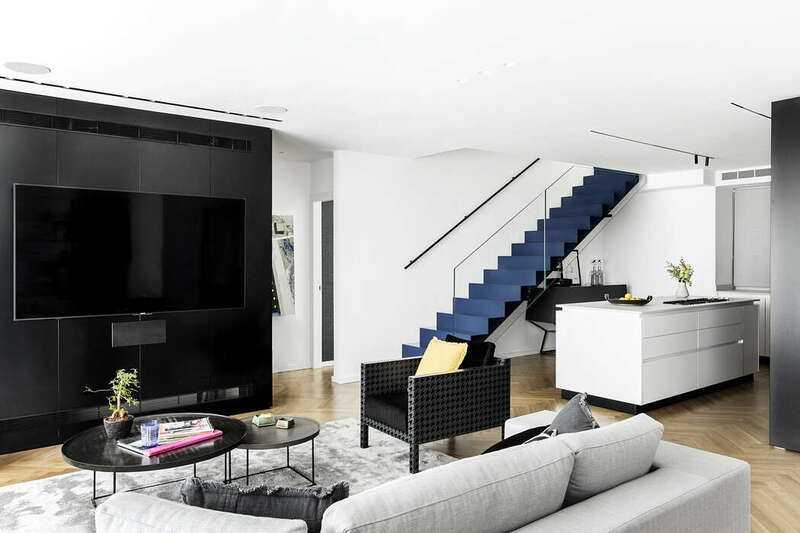 Located in Tel-Aviv, Israel, this inspiring two-floor apartment was completely redesigned by Maya Sheinberger. A young and contemporary design for a woman in her 30s and her daughter. The client and the designer Maya Sheinberger are good friends of 20 years, so the design concept was very clear and specific from the beginning – black and white design with splashes of bright colors, in order to create a timeless design and a lively atmosphere. "Even if it is rebuilt, it will not be the same"